Are Higher Grade Crystals More Effective? Thank you for your inquiry. This is a common question/concern. The grade of a crystal refers to its physical qualities. The higher the grade of a crystal typically means it has less inclusions and/or matrix and more clarity and/or vibrant color. This does not necessarily mean they will be more effective, as it depends on what you will use them for. 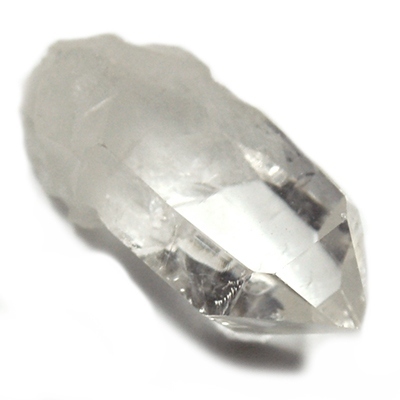 Some people prefer to use Clear Quartz with inclusions or that are slightly cloudy for programming as they feel it can hold onto a program better than one with complete clarity. Shape is a matter of personal preference as well, but does affect how the crystal directs energy. Additional information about this topic can be found in these articles. I must share the standard disclaimer that I am not a doctor and cannot give out medical advice. Crystals for healing should be used as a complement to other therapies and not as a replacement for regular medical care. The information offered here is based on a combination of my own personal experiences and that of others on using crystals for healing.